SoftPlanet gives developers the opportunity to publish their software for review, ratings and to be downloaded free of charge. See below all the software by EmailSmartz sorted by popularity. 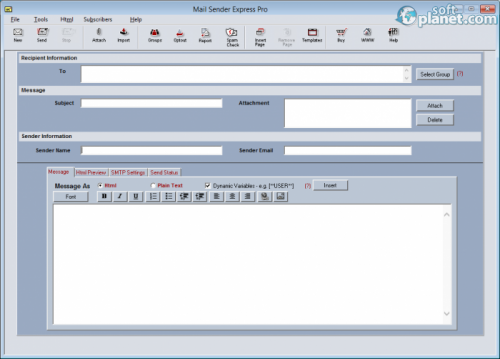 EmailSmartz is the developer of Email Utilities application software. 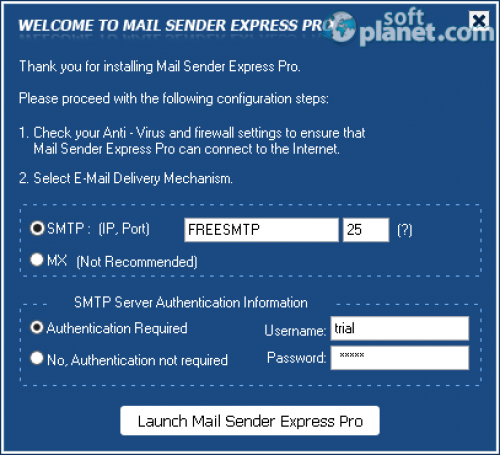 You might have already used Mail SenderExpress Proor Mail Sender Express Professional. Along with downloading EmailSmartz software, you can also check the reviews and how other people using the below listed programs have graded them by several criteria. Have also in mind that all of the software from EmailSmartz on our website has been tested with 46 antivirus applications.